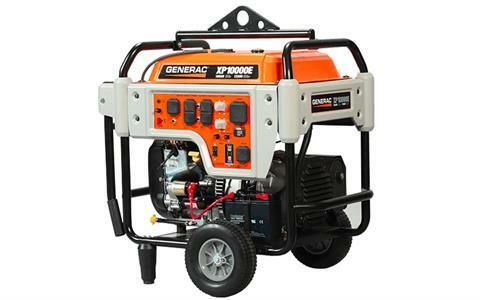 GENERAC'S OHVI® ENGINE: Incorporates full pressure lubrication with automotive style spin-on oil filter for longer engine life. 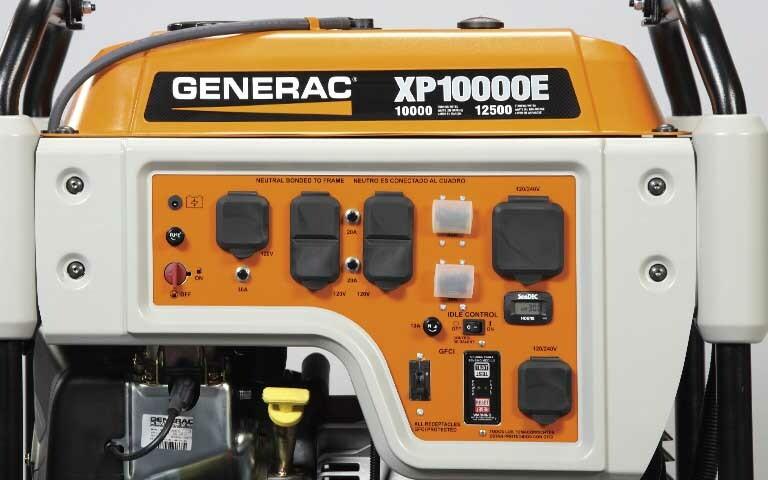 TRUEPOWER™TECHNOLOGY: Provides clean, smooth operation of sensitive electronics, tools, and appliances. COVERED OUTLETS: Provide protection from the environment and rugged working conditions. FULL GFCI OUTLET PROTECTION: Meets OSHA safety requirements. LOW-OIL PRESSURE SHUTDOWN: Safeguards engine from damage. IDLE CONTROL: Conserves fuel for extended run times and reduced noise. FULL-WRAP, HEAVY-DUTY FRAME TUBING: For durability and strength. LARGE CAPACITY STEEL FUEL TANK: With incorporated fuel gauge keeps you up and running on the job site. Run Time @ 50% - 9 hr.